Essential core exercises to implement in your golf strength training program. Adding core exercises to your training program is essential if you want to take your golf swing to the next level! Core workouts are a MUST of any golf strength training program! 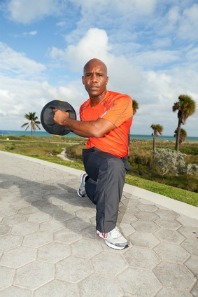 It is an area of the body that is regularly ignored, outside of basic abdominal exercises. However, flexibility and strength throughout this region can have huge implications on your golf swing. It's hard to teach you core exercises if you are unsure of what the core even is! Honestly, many of the patients that I see on a day to day basis have no clue. First, I'll tell you what it isn't. It certainly isn't doing thousands of sit-ups and crunches! The core not only incorporates the front abdominal muscles, but it also includes muscles that could be referred to as the "side abdominals" (transverse abdominus, internal/external obliques). Also, it includes your low back muscles and muscles around the hip and pelvis. So as you can see, it is not just one muscle, but a group of many different groups all acting around the same general area. It is one of the key areas that sports related healthcare professional work on with their clients/athletes because it has direct ties to their performance and ability to resist injury. One major component of the proper golf swing is the ability to rotate at your waist and develop torque. In addition to needing to have a strong lower extremity base, this is the part of the swing where the core is extremely important. A strong core equals increased force generated by your muscles leading to a more powerful swing. If you are looking for a way to add some distance to your shots, but don't have hundreds of dollars to spend on top of the line clubs, strengthening this area can be a way to accomplish your goal. This core workouts contained on this site will guide you in the proper way to train this region for the golf swing. What the core is also very important for is injury prevention! Yes, you need to have good rotation throughout your swing to develop more power, but that repetitive rotation can also wreak havoc on your spine. This becomes even more important as we age. The discs that sit between each vertebrae in your spine are mostly composed of water. As we get older, they begin to lose this water content which makes them shrink and become less flexible. Strengthening the muscles that attach to these areas will help improve the stability of the spine and hopefully slow down this natural process. In addition to the discs, the facet joints of your spine also need adequate support. The facet joints connect each vertebrae to the ones above and below it. They are heavily involved in spinal movement, and are highly susceptible to injury. As we get older, the amount of motion that is available at these joints is reduced so we end up losing power in our swing because of it. 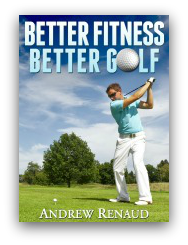 There are literally hundreds, if not thousands, of core exercises and variations that you could add to your golf fitness program. 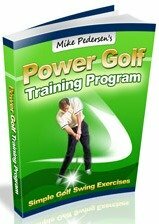 My intention here is to present a handful of carefully selected exercises (that are golf appropriate) to build strength in all the major groups. Some of these exercises are really going to make you work so be prepared to sweat! One more thing! Don't forget that there are many different ways to perform core exercises! There are some great pieces of supplemental equipment out there like a foam roller, BOSU ball, exercise ball, and kettle bells that you can use to really work your core. And the best thing about many of these devices is that they are relatively cheap! There are also plyometric drills that you can perform for your core. So please check out the main Core Strengthening page for traditional exercises, but also look into some of the other pages like foam roller, BOSU ball, and plyometric drills for additional tips! Interested in supplements to help further advance your strength training program? Please check out Ultimate Fat Burner for great tips and reviews of supplements and weight training programs. This site has been around for over 10 years, and has a wealth of information! Have Ideas of Other Core Strengthening Exercises? Know of a great core exercise? Share your core strengthening exercises with others! Your exercise will appear on a Web page exactly the way you enter it here. You can wrap a word in square brackets to make it appear bold. For example [my story] would show as my story on the Web page containing your story. Do you have some pictures or graphics of your exercise to add? Great! Click the button and find the first one on your computer. Select it and click on the button to choose it. Note: The maximum size is 800x600.